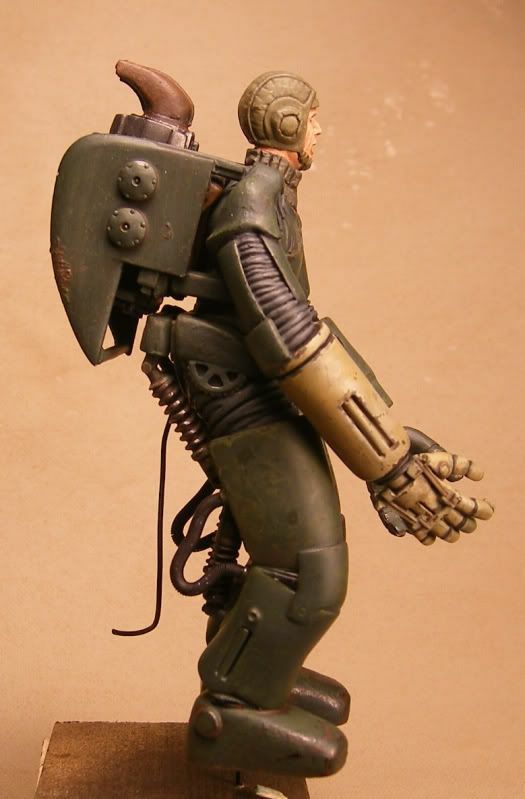 More 1/20 Machinen Krieger - another of the support troops. 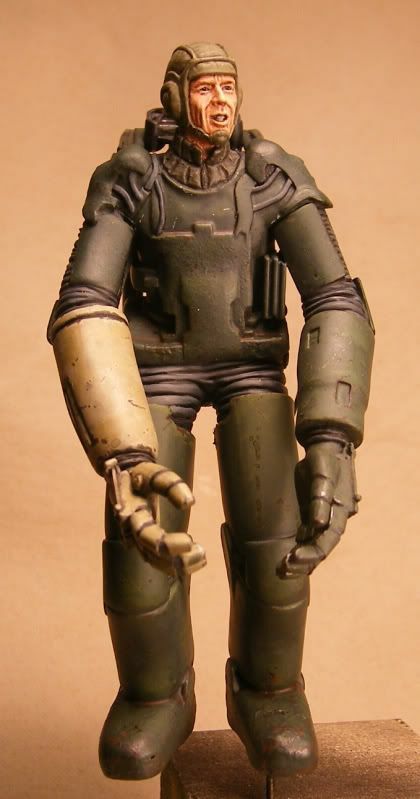 I'll be recording the stages of painting this figure too. 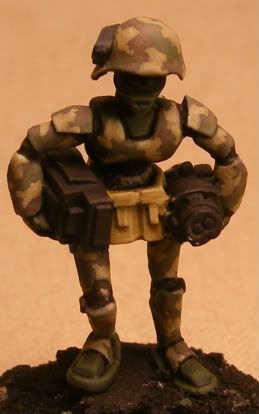 I've also started re-modelling a 1/20 Brickworks, female mechanic by hollowing out an old, resin helmet and fitting it to her head. 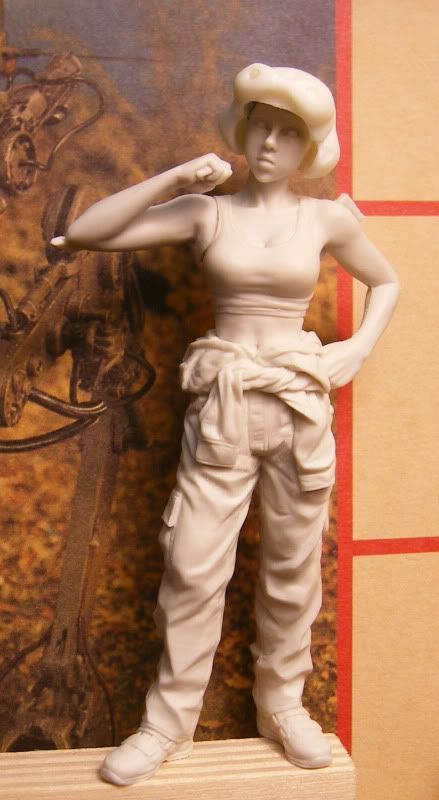 The original figure has an adjustable spanner (befitting her role as a Ma.K Mechanic) in her right hand - I'll be replacing this with a slung kit bag. 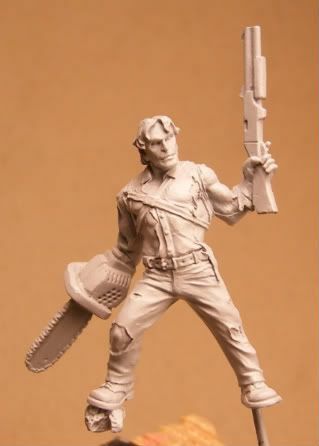 Oakley - A very new, excellent miniature (the sculpting of the torn shirt is remarkable) from Hasslefree who've asked me to produce a painting guide! 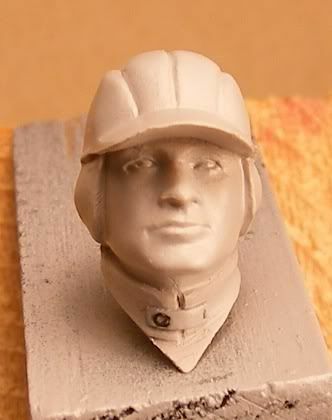 The figure has had the very minimal moulding lines removed and primed with Tamiya Fine Surface primer. 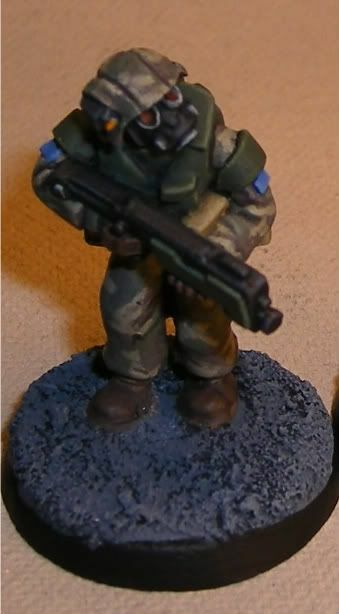 I'm also painting (very slowly) more of the Hasslefree marines for a friend from the AT-43 forum but also adding not Riply and not Newt. Back to painting after a near three week, enforced break chasing fraudulent transactions with Paypal (£1048 fully refunded - thankyou paypal). 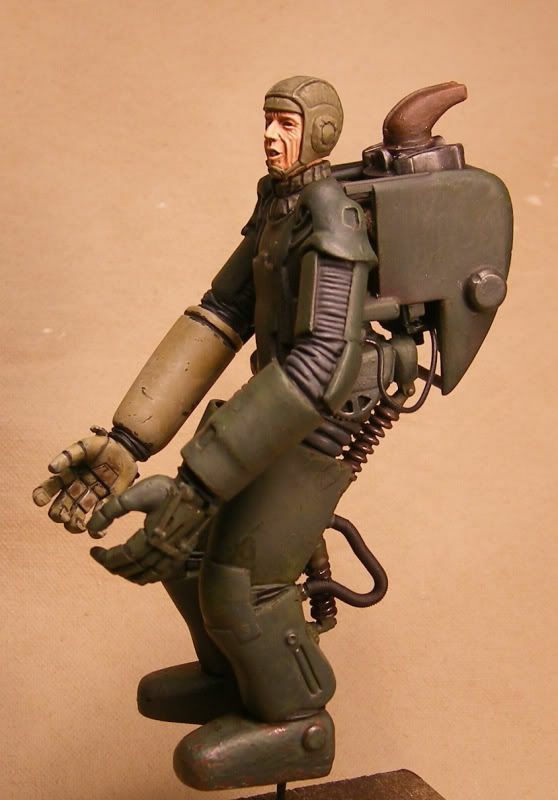 The partly-painted, lovely little Pig Iron robot (with added helmet) above is a 'mule' for Rodrigo's Neo-Soviet special Force troopers, another five of which are nearly completed. 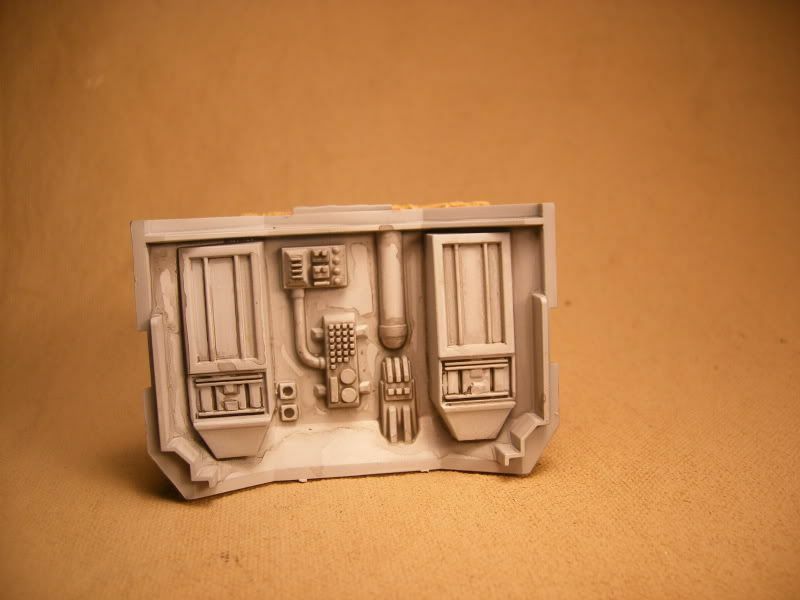 I've also started the interior of the opposing force's Valkyrie by priming grey, airbrushing a misted coat of white and washing with a dirty grey to make the interior look somewhat used. I've added some extra detailing to the roof (lighting and aircon unit) and drop-down rails for the troops. A thumbnail makes a handy little palette! Detail painting of individual units next (lots and lots of buttons!). Better pics - front and back. Left side and from the right. Cabling to be finished and then the suit 'dirtied'. I've no idea as yet what he'll be carrying! Rodrigo's Neo-Soviet special forces! these are pig Iron Heavy Infantry with heads from their Kolony range (if you don't know this miniature producer pay their site a visit - well worth the time. 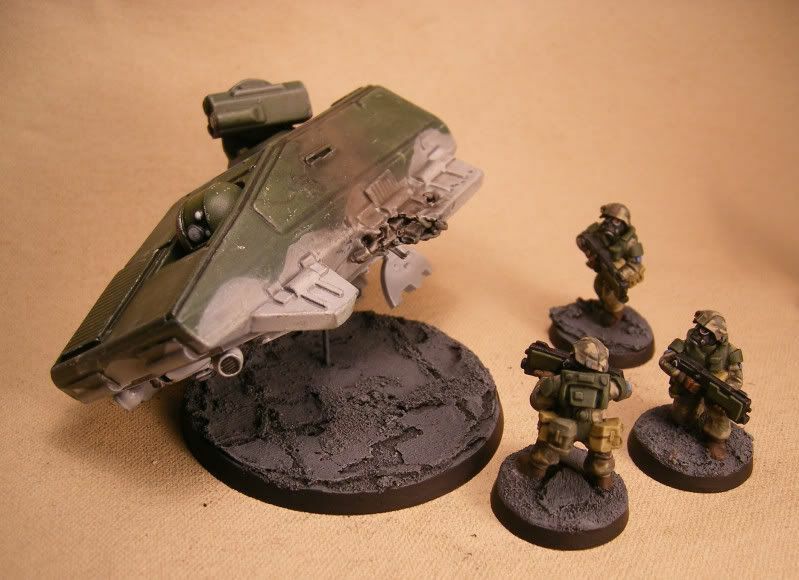 Great range of minis, spare heads and a cracking AFV!). 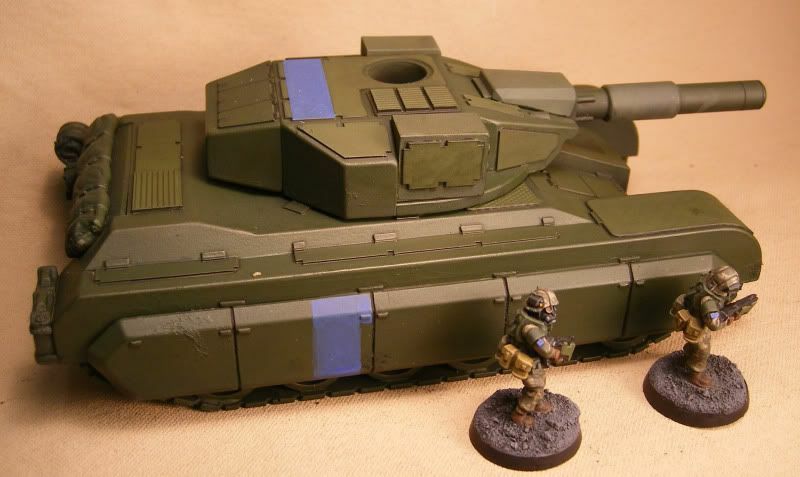 I've finished five so far and I've nearly finished an 'objective', here with more pics of the troopers and with a WIP Sabre tank from Old Crow. Well I did some work on my friend Rodrigo's commission but the photos were poor and need redoing so I thought I'd share this with you. 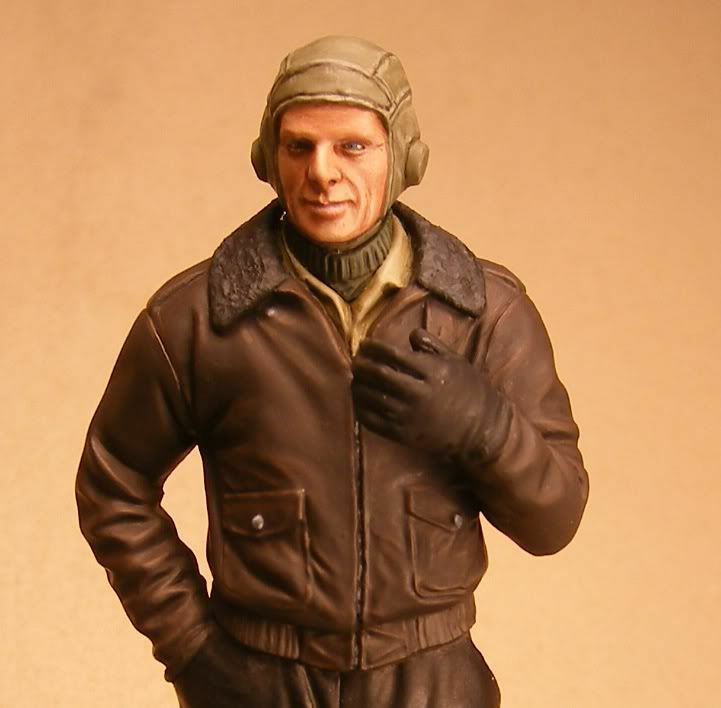 It's one of the figures from this set (the sculptor based the figure on my forum buddy and superb Ma.K painter, Linc [Lin.K]) which is essentially OTB except I thought he needed a little extra cover around the neck so added a polo-neck. At this stage the head and jacket are complete and I'm just about to tackle the glove. 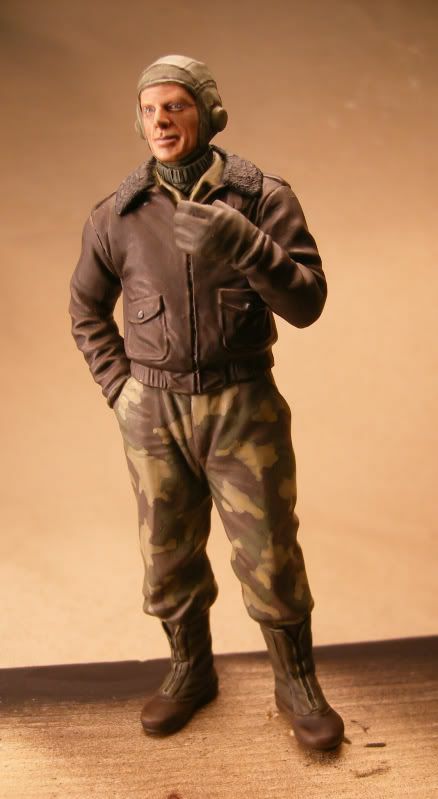 I might try out my '28mm' camo on the trousers. 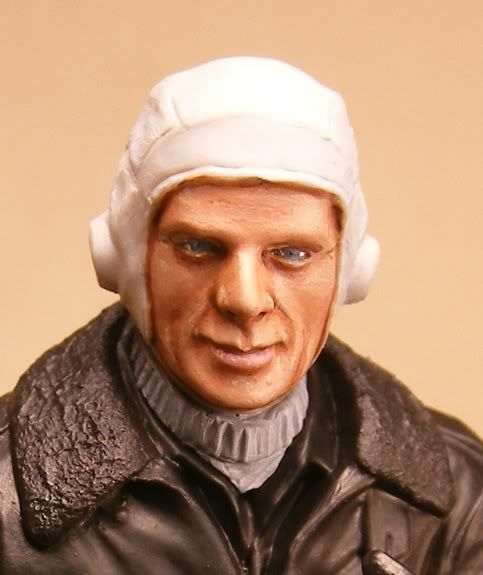 Here's a closer look at the jacket (I've tried to be quite subtle with highlights and shadows) and a close-up of the face. I've had some very nice and supportive comments about the painting of the face from my friends on the Forum and they reacted very positively to my offer of a face painting tutorial - coming here soon! Unfortunately the latter half of the week has been spent trying to recover over £1000 taken from my bank account by fraudulent Ebay sales - change those passwords guys! - so not much time for painting.